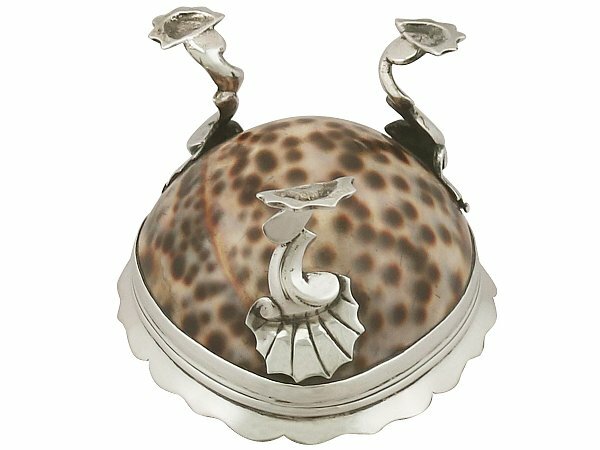 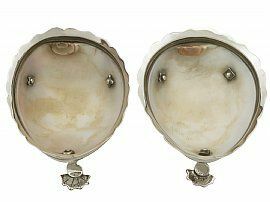 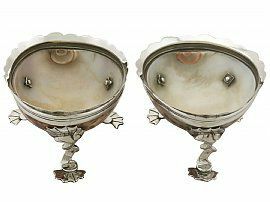 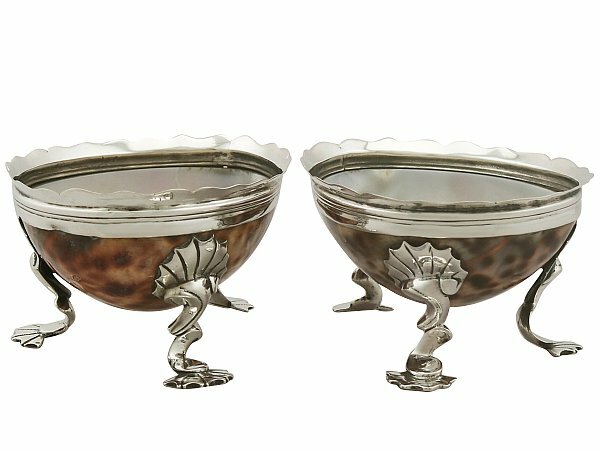 These exceptional antique English silver and cowrie shell salts have an ovoid shaped form. 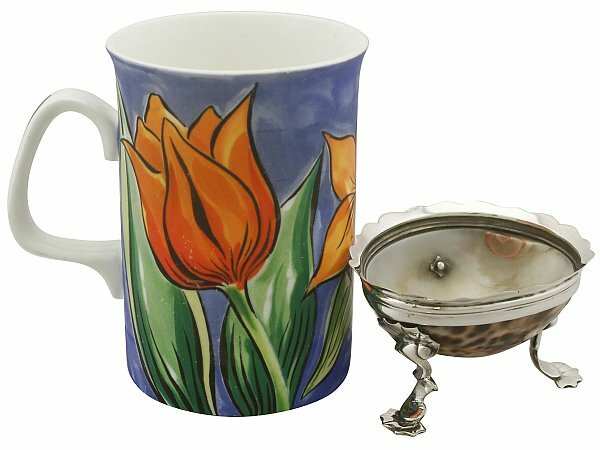 The rim of each smooth cowrie/cowry shell is fitted with a plain sterling silver mount with a plain flared scalloped border. 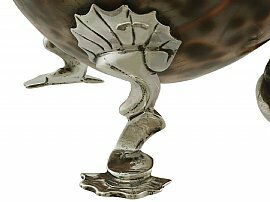 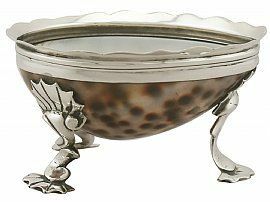 Each exceptional example of antique silverware retains the original three hoof style feet with incurved sockets and terminals; each foot is secured with the original screw fitment to the interior of the vessel. 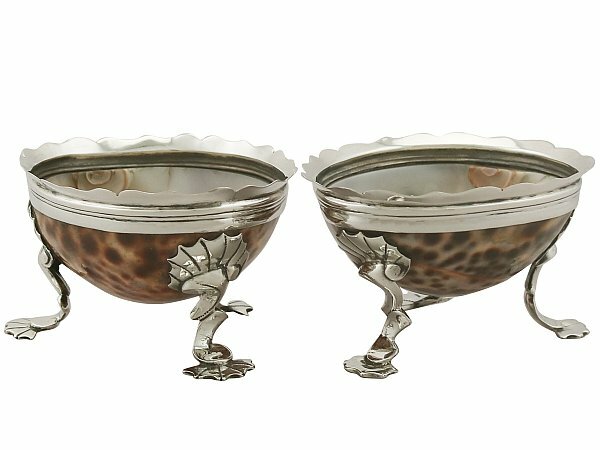 These antique cowrie shell salts are an exceptional gauge of silver, exceptional quality and in exceptional condition. 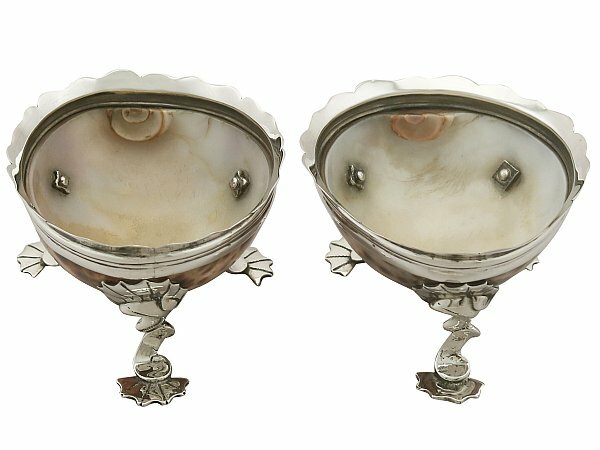 The smooth cowrie shells are in perfect condition. 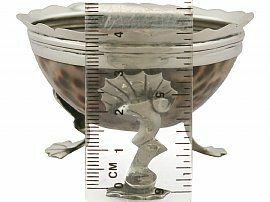 There are no hallmarks as to be expected with such pieces; the date and origin can be determined by the composition and decoration.